Range has been so much fun to create and grow. 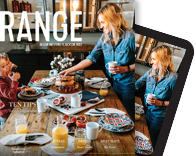 This is the last issue I was involved with and leaving was such a difficult decision, not only because I love the magazine, but also because my own home life has changed so much during the years I’ve worked on it. In the time I’ve been Range’s art director, my husband, Ethan, and I had two sons, Cormac, who’s now three years old, and Laird, almost one; we sold our house on Crabtree Lane; and moved into a house we built together. Designing and decorating a home while I was working on an architecture and design magazine gave me inspiration. I have realized over the years that there is so much local talent here—people who have started their businesses from scratch and have thrived, and newcomers who have brought big-city mentality and cutting-edge design. It’s really quite impressive for such a small community. As exciting as it should have been to move into a new house that Ethan and I had been working on since before Cormac was even conceived—honestly, I’ve blocked out much of that time. Laird was two weeks old when we moved into our new house. It’s funny, but looking back, I had these thoughts of spending the first night together among the boxes in our brand new house, but I shared our bedroom with Laird while Ethan slept upstairs in the baby’s room. Now, nearly a year later, this beautiful house has become our home. We have this entire community to thank, as well as the Range family, for the craftsmanship, the advice, the design, the ideas, and the professionalism. 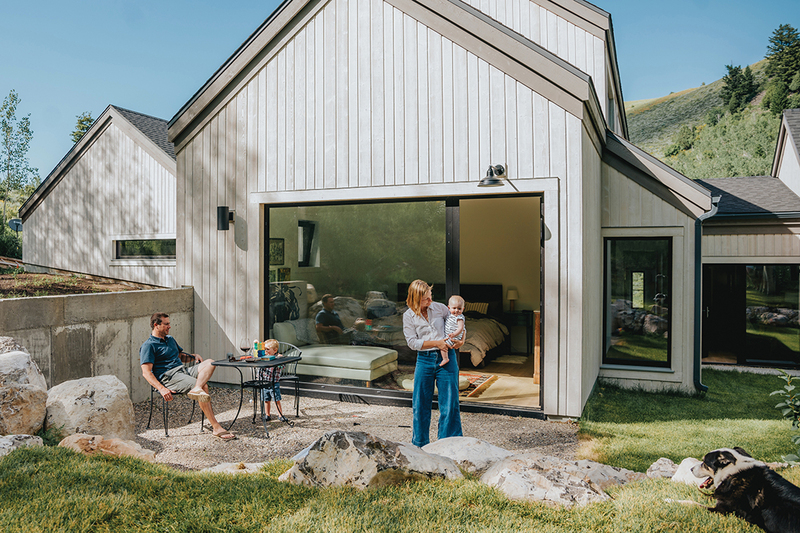 — Colleen was the driving force behind the transition of Teton Home & Living into Range magazine and served as Range’s art director until this past June, when she left to pursue a new career as a homeowner relations manager at a local property management firm.